Sudanese authorities’ crackdown on peaceful demonstrators has escalated in Sudan’s sprawling capital Khartoum. Reports say demonstrations led by students against rising costs of living have erupted in different parts Khartoum. Police forces reportedly resorted to the use of teargas and batons to break up the demonstrators. At DC, Department Spokesperson Victoria Nuland said in a press statement that the United States is deeply concerned by the crackdown by the Sudanese authorities on peaceful demonstrators in Khartoum over the last three days. The United States calls on the Government of Sudan to respect the right of its citizens to freedoms of expression and peaceful assembly in order to raise their grievances. Ms. Nuland notes that in addition to the crackdowns on peaceful demonstrators, the US government is concerned that Sudanese authorities have increased pre-publication censorship of independent newspapers in recent weeks. 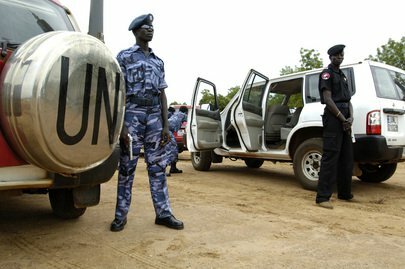 Late of March this year, military clashes have erupted in the border region of Sudan and South Sudan. The military clashes prompted Sudan’s President Omar Al-Bashir to suspend plans to attend a meeting with his South Sudanese counterpart Salva Kiir on 3 April. In July 2011, South Sudan, Africa’s 54th nation was born. Millions of people celebrated a new national identity and new national promise. For more than two decades, Sudan has been riven by intense fighting over land and resources.